A recent study of 510 women in New Zealand showed that giving women free IUDs after abortions drastically reduced their chances of a repeat abortion within two years, compared to the women in the study who chose to go on the pill. Of 510 women who'd been offered contraceptives free of charge at an abortion clinic, less than six percent of those who went on to use an intrauterine device, or IUD, ended up having another abortion within two years....Nearly one in 10 women had a repeat abortion at the clinic within two years. 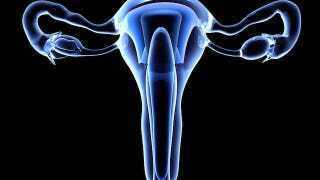 Those who'd said they used an IUD had a 64-percent lower chance of ending up at the clinic again compared to women on the pill. Among the many reasons this is important: Because IUDs are more expensive up-front than monthly payments for the birth control pill, many women who want them don't get them, according to a Guttmacher analyst quoted in the piece. "If you can take away those up-front costs as a barrier and allow women to choose among the different options ...most women end up choosing IUDs," he said. How do you take away those up-front costs? Well, you can force insurance to fully cover contraceptives without co-pays. That would involve accepting the Institute of Medicine's recommendations that health insurance reform include that. Does Free Birth Control Stand A Chance? And for women on Medicaid, you could remove barriers for those who want IUDs. The author of a recent showing that there was no medical risk to inserting an IUD at the same appointment where an abortion is performed pointed out that the Hyde Amendment prevents Medicaid patients from accessing this service, because it requires a strict separation between federally-funded family planning services and abortion care. In other words, two appointments have to be made. All of this, of course, would require the de-politicization of free and accessible birth control as a way to reduce unwanted pregnancies and abortions. Dare to dream.